Kathmandu University provides Bachelor of Science degree in Human Biology students who wishes to have a career in health sector. The duration of the degree program is 4 years which is divided into 8 semesters. This program falls under the School of Natural Sciences, Kathmandu University at Dhulikhel. This program is carefully designed to study the underlying science of human body and physiology. This program prepares graduates to have careers primarily in health industry.The program focuses on studies of human biology along with greater emphasis on human anatomy and its working mechanism. B.Sc. Human Biology can be a good prospect for undergraduate students wishing to enter clinical science and health professional study programs such as medication, nursing, rehabilitation, occupational therapy, pharmacy, audiology and chiropractic. Graduates of this discipline can later explore or work as a clinical researcher or in other related field. B.Sc. Human Biology degree program is a gateway to become a highly competent technologist, accomplished researchers in medical fundamentals and modern biology. The total fee for the program B.Sc. in Human biology is NRs.650, 000. It is to be paid according to Kathmandu University guidelines. It is awarded to financially weak and needy students at the time of admission, first time at need basis and the following according to their academic performance. For each 30 paying students, 1 will be given the scholarship partially or completely. The candidate must maintain a GPA of 3.0 and not appear in compartmental exams. It is provided to the selected candidates to cover 25% - 50% of the total fee based on the available fund on each undergraduate program of SOS, KU. The candidates must sign a contract (bond) with the University for its Refund. 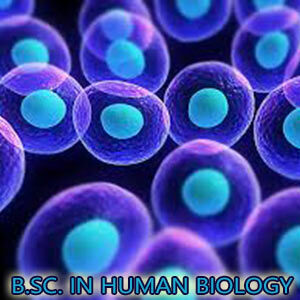 To generate competent and highly skilled graduates for teaching and research work in the area of Human Biology. To generate competent graduates with the ability to become the scientist of modern biology. To foster the gain of the knowledge about the structure, operation and cordination of life processes and forms at different points in life. To demonstrate skills in scientific and technological methods; apply them to develop hypothesis, sustain arguments, design experiments and execute them. The eligible candidates seeking admission will be notified via major national newspapers and the official website of KU which is www.ku.edu.np during the month of June/July. After collecting the forms from all the interested candidates at a certain deadline the applicants must appear the entrance exam which tests their proficiency in physics, chemistry, and biology. The qualified applicants must go through the interview process designed to test their aptitude in the chosen field of study. After the interview list of candidates eligible are published and the class starts from the first week of August. 3. Academic transcript of the applicant’s secondary and higher secondary education with minimum 50% marks in PCB. A higher degree will increase the domain knowledge and research skill which becomes a plus point in competitive job market. Thus, most of the graduates after attaining a Bachelors degree in B.Sc Human Biology will further continue their study to a Master Degree program in a more specialized discipline to extend their expertise in a particular field. With specialization it can lead to jobs in different area of science such as health sciences, exercise sciences, nutrition, and pharmaceuticals. The interdisciplinary and dynamic nature of this degree lays groundwork for Human Biology graduate seeking to work right away. The graduates of the program have excellent career opportunities in health and medical industry. They can find a job as a lab technician in biological laboratory where they will perform experiments and tests on samples of biological information. Some graduates are seen to work as a sales representative in a pharmaceutical store. Some are even employed as a forensic science technicians. Few of them even start teaching at universities and colleges.